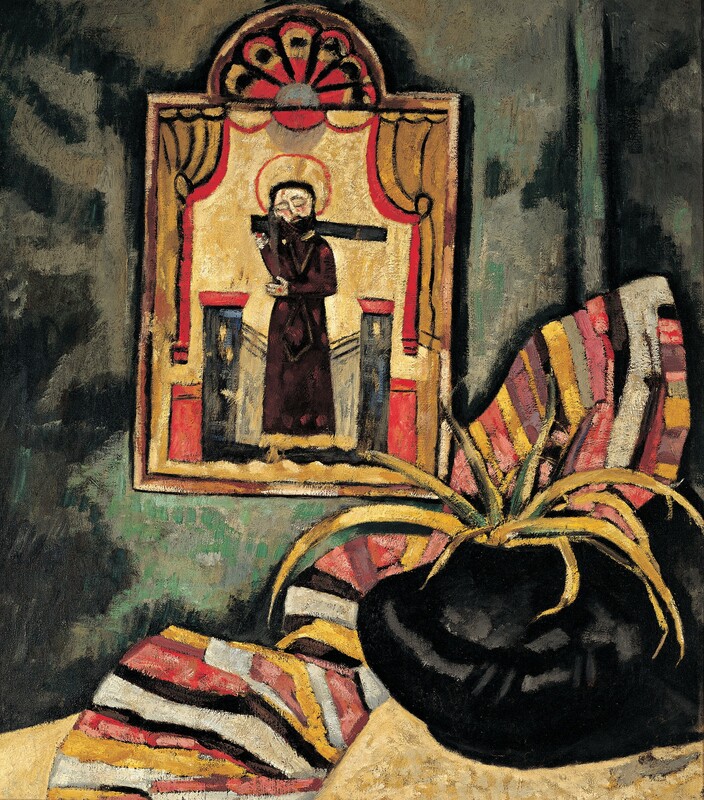 Department of Cultural Affairs Media Center :: Media Bank :: New Mexico Museum of Art 100th Birthday Event November 25, 2017 :: Marsden Hartley, El Santo, 1919, oil on canvas, 36 × 32 in. Collection of the New Mexico Museum of Art. Anonymous gift from a friend of Southwest art, 1919 (523.23P). Photograph by Blair Clark. 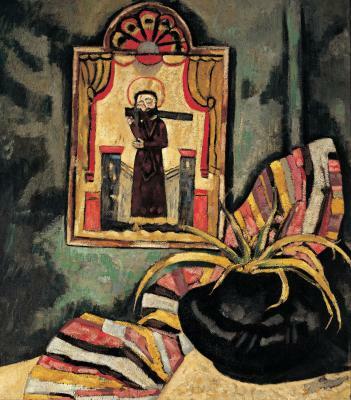 Marsden Hartley, El Santo, 1919, oil on canvas, 36 × 32 in. Collection of the New Mexico Museum of Art. Anonymous gift from a friend of Southwest art, 1919 (523.23P). Photograph by Blair Clark.